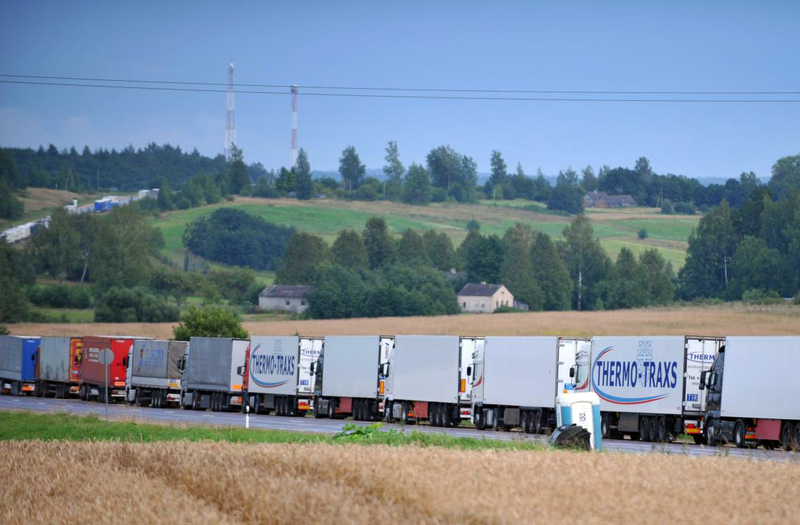 Phytosanitary inspectors issued certificates to export fruit to fake Transnistrian companies authorizing a thousand truckloads of fruit to Belarus. In reality, no fruit from Moldova arrived in stores in Minsk or Moskow. Instead, the documents were used by Lithuanian, Belarusian and Russian businessmen to import fruits from European Union (EU) countries to the Russian Federation. The organized group bypassed in this way the „total prohibition” decreed by the Kremlin in August 2014 for most food products from the EU. The Russian embargo was imposed in response to sanctions against Moscow in the context of the war in Ukraine. 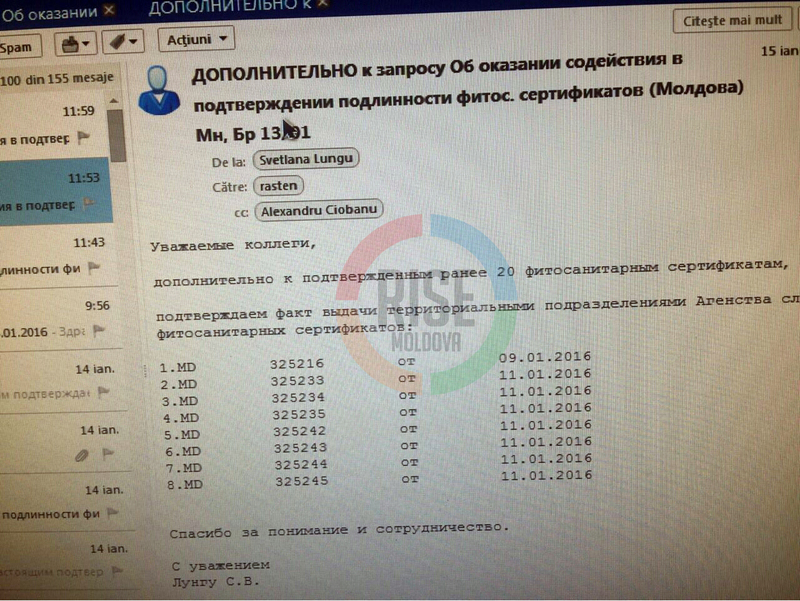 RISE Moldova reporters, together with journalists from LNK TV and DELFI in Lithuania, worked undercover to infiltrate an organized transborder network, contacting representatives of two Lithuanian companies interested in fake phytosanitary certificates from Moldova. Modestas Tylenis, a citizen of Lithuania, represents the interests of the Irish company Capitalway Ltd. with accounts in Latvian banks. 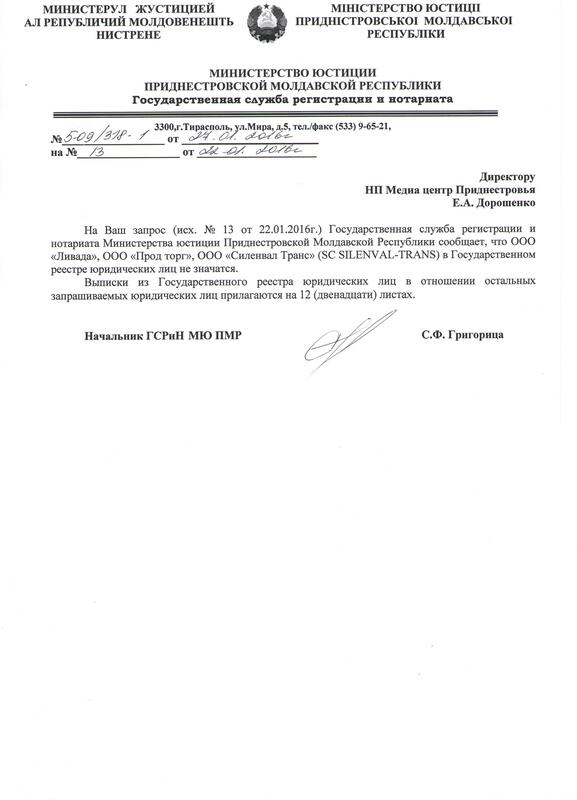 A RISE Moldova reporter posed as a representative of a fictional company from Moldova, Moldstat-Captured Ltd., and contacted Tylenis, claiming to have good relations with the leadership of the National Food Safety Agency (NFSA) and promising that required phytosanitary (food safety) certificates could be obtained for a fee. Tylenis agreed to cooperate. He asked for the certificates to be sent to an address in Vilnius, the capital of Lithuania, to the premises of the company BT Logistika. Tylenis explained that fruit from other European Union (EU) countries would use the Moldovan certificates of origin to be exported to Belarus. On Jan. 29, Tylenis sent by e-mail a payment order from Capitalway Ltd. According to the document, Moldstat-Captured Ltd. would sell to the Irish 20 tons (one truckload) of apples for about US$ 1,000, one-tenth of the market price. Following the e-mail correspondence, two Lithuanian undercover journalists, partnering with RISE Moldova, met Tylenis to discuss details. „For the first week I need 20 certificates, then I can buy 200,” Tylenis told them. At a second meeting with Tylenis, the Lithuanian journalists took a film crew and asked him why he was attempting to corrupt Moldovan phytosanitary inspectors. He avoided answering and dashed through oncoming traffic to get away from the journalists. Maris Voitans is a Latvian citizen and the former owner of the Estonian company Kavestron. In January 2016, Rosselkhoznadzor (the Federal Veterinary Sanitary Authority of Russia) criticized Kavestron in the context of dubious export of „Moldovan pears” to Russia. Undercover reporters for RISE Moldova contacted Voitans with a proposal similar to that made to Tylenis. Voitans explained that he could not use Kavestron in such a manner. „After the suspicious transactions, I was forced to liquidate (Kavestron),” said Voitans. Instead, he referred the reporters to a partner he said would be interested in the deal. Reporters contacted the partner, a Lithuanian using only the first name, “Vica.” She said she represents the interests of an Estonian company called UniBaltic OU. On the phone, Vica explains the scheme: „We are sending a payment order. You issue us a phytosanitary certificate. We are sending it to the Belarusians and they confirm the certificate. Afterwards, we pay you when we get the originals,” said Vica. After this discussion, RISE Moldova received an invoice from UniBaltic OU to buy a truckload of apples at a price of more than US$ 7,000. On Feb. 19, an incognito journalist in Lithuania met Vica in a cafe in the center of Vilnius, to discuss how to pay for the Moldovan certificates. She said they preferred to pay cash in Minsk or Moscow, US$ 800 for each certificate brokered by Moldstat-Captured Ltd.
Michael Negrescu, head of the unit which controls phytosanitary products and fertilizers at Moldova’s NFSA, says that at the end of December 2015 exporters were complaining about delays in the issuance of phytosanitary certificates. He said that in January 2016 alone, ANSA employees issued about a thousand phytosanitary certificates for export of agricultural products to Belarus that had been previously “sold” to businessmen from Lithuania and Belarus. “I do not know the exact number, because certificates issued in December 2015 had been transferred from the NFSA archive to (former phytosanitary chief) Alexandru Ciobanu and disappeared,” said Negrescu. However, Ciobanu claims that he destroyed no documents. “The certificates are there, just someone is not interested to show them. But I have a number of copies I can present to competent authorities,” he said. To confirm the validity of certificates issued by NFSA for Moldovan fruit, Belarusian phytosanitary authorities e-mailed their Moldovan colleagues, attaching scanned copies of the document under which they imported fruit. Typically, the e-mails were sent to NFSA employee Svetlana Lungu as well as Ciobanu. Russian phytosanitary service published pictures of pears exported to Russia, as indicated on the label: name of manufacturer: Silenval-Trans Ltd (Moldova); the contract holder (guarantee): Kavestron (Estonia); Importer: Transpetrobaltik (Belarus). Cojocari’s signature was listed on the package of documents for the two trucks with nonexistent apples, which RISE journalists were able to retrieve in August 2015. Another NFSA employee allegedly involved in this scheme is Ciobanu, head of the Unit for plant health and protection. Ciobanu has the status of “accused” in a corruption case filed by NAC in late January 2016. The same case also includes three other NFSA employees as suspects. „Ciobanu has a technical post. He is responsible for the implementation of European directives and regulations within NFSA and is not in touch with traders,” NFSA deputy director Grigore Porcescu told RISE Moldova in October 2015. Alexei Alekseenko, head of Rosselkhoznadzor press service, says that “Moldova is not the only way through which such products reach the Russian market via Belarus”. The scheme has caused a lot of damage, say producers and exporters of fruit from Moldova.